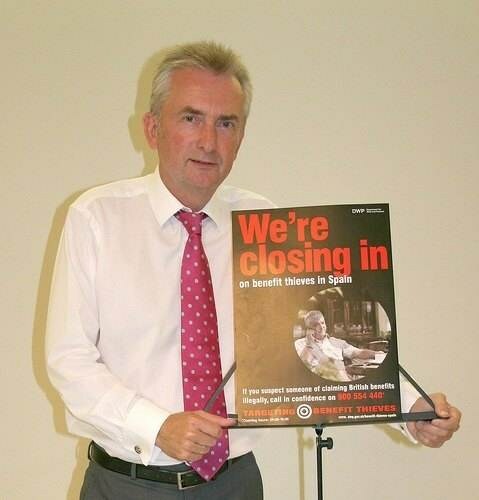 to launch the new Whistleblowers campaign to combat benefits fraud abroad. Mr James Plaskitt, Labour MP for Leamington and Warwick, admits he broke Commons rules on the “second homes allowance”, according to an investigation by the Coventry Telegraph. The rules allowed him to claim the interest on the mortgage on his London flat but not the full mortgage. He says it was a genuine mistake, which the Commons brought to his attention in 2006. He repaid what they’d calculated he’d owed back. The MP, whose constituency includes Henley, could be forced to pay back further expenses he “mistakenly” claimed for his mortgage against the rules. James Plaskitt now faces having his expenses files examined by an independent panel set up this week by Prime Minister Gordon Brown. The Commons Fees Office has confirmed it estimates there was an overclaim of £824.78 in the financial year 2005-06, which was paid back. It is now waiting for Mr Plaskitt to provide them with mortgage statements for the previous year to sort out his alleged overclaim. Mr Plaskitt says he had mistakenly taken one month’s figure for his full mortgage payments, not just the interest, and claimed the same amount over months. He said the mistake only came to light because he’d routinely supplied the fees office with full evidence of his mortgage payments. The Warwick and Leamington MP ranks 155th in the claims rankings with a total for claim for 2007-08 of £156,552. Warwickshire County Council has now decided that the resurfacing which was under consideration for a 2009 target date will not take place this year. “Although the proposal for micro asphalt works had been the subject of some discussion with Parish Council members it was always stated that these were provisional proposals subject to prioritisation against other similar schemes' proposals identified throughout the County and the allocation of funding. "Later this year the proposal will be reviewed alongside other assessed priority scheme proposals for possible inclusion in the 2010/11 programme of works. In view of the recent views expressed by a number of residents from the southern section we will also reassess the southern section carriageway at the same time." That the County Council has agreed to reconsider is thanks to e-mails and letters from readers and other residents... “a flood of e-mails and letters” in the words of County Highways Operations Manager. Allowing for the present funding constraints it would be unreasonable to expect more than this from the Council at present. I accept the remarks about the proposal being provisional but this plan was “on the table” and the target was listed as 2009. I feel sure that we all did the right thing by registering our views at this early stage and, having received acknowledgement of our concerns, we must hope for a positive decision when the time comes. 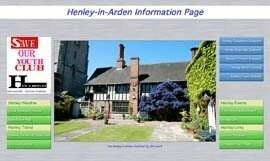 The Town of Henley in Arden Civic Service. 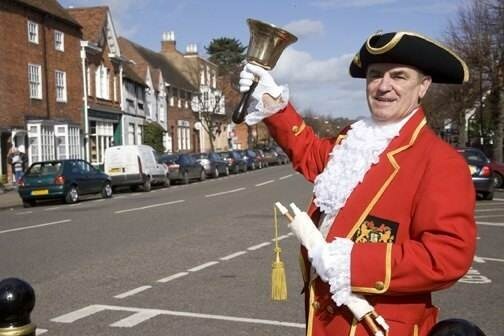 On Sunday the 24th May 2009 the sun shone and the bells of St John’s Church rang out calling on the Court Leet, the Town Councilors and their guests to attend morning service. The civic guests included the Chairman of Warwick District Council, the Mayors of Warwick and Alcester and their respective consorts. The Court’s guests were the Bailiffs of Warwick, Bromsgrove and Alcester and their consorts. Other guests included representatives of the police, fire and education services. All assembled in the Guild Hall prior to parading into church behind the Union Flag. The service was conducted by the Reverend John Ganjavi with the day’s lessons being read by Cllr Les Goodman, Chair of the JPC, and the High Bailiff, Roger Sutton. The High Bailiff had chosen some rousing hymns that all could sing and sing they did, rattling the rafters in the roof. The church choir sang the anthem ‘The Celtic Grace’ and the Reverend John’s sermon contained a message questioning authority, formality and ceremony but promoting the unselfish service offered by the town’s ‘silent servants’! Following the service a reception was held in the Guild Hall with canapés provided by courtesy of the Court’s Consorts. Outside in the garden of the Guild Hall the group photograph above was taken by the editor of Henley News On-line, Bill Leech. Back inside the Guild Hall the High Bailiff was pleased to thank the guests for coming to the service, the Court and their Consorts for their assistance, the Vicar for his stirring sermon, the organist Jane Llewellyn for the music, the choir for their anthem and Andrea Gardner and Annette Walker for arranging the array of blue and yellow flowers around the church. He completed his thanks by thanking his Low Bailiff, John Rutherford, and finally thanking his consort, Molly Sutton, for her support in helping arrange the Civic Service for another year. A team from Johnsons, together with friends, successfully completed the London Moon Walk recently and raised an impressive £6000 for breast cancer research. Anne Johnson who manages the group tours department at Johnson’s together with her colleague Jo Brown said, “The walk was some 26 miles long. We trained hard for several months before the event, as some of the group had never attempted such a distance before. Our photo shows Team Johnsons - Anne Johnson left, with Hilary Morrison centre and Jo Brown right. CONSENSUS is a group of dedicated local actors and singers brought together to perform works combining drama with high quality operatic music whilst at the same time raising money for worthy charitable causes. Local drama and music group Consensus presents a rare opportunity to see a play by David Garrick, one of the most influential characters in the history of Stratford, in a new and effervescent musical version performed by some of Stratford’s finest local actors and singers. Performances will take place at Stratford Town Hall, the Henley-in- Arden Memorial Hall and Salford Priors Memorial Hall on 11, 12 and 13 June respectively, with proceeds from second two performances going to the Friends of Shakespeare’s Church and Pump Aid. David Garrick and George Coleman’s enormously successful play, The Clandestine Marriage, has been combined with musical numbers from one of the great comic operas that it inspired, Cimarosa’s The Secret Marriage, in a sparkling operatic farce enticingly entitled Whose Wife is it Anyway? The plot is a classic case of a wealthy heiress marrying an impoverished aristocrat in exchange for a very, very large dowry. There is plenty of confusion along the way and the setting has been moved imaginatively to Edwardian England, when so many American families married eligible daughters and put their fortunes into noble houses in need of hard cash. Confusion and comedy abound when the secretly married daughter of a wealthy American industrialist unwittingly upsets her family’s plans to marry her ambitious sister to the feckless nephew of an impoverished aristocrat. Social satire and larger-than-life characters juxtapose delightfully towards the inevitable climax, leaving everyone covered in embarrassment and many issues fascinatingly unresolved…. Our entry has been submitted to the Warwickshire Best Village 2009 Competition on behalf of the Town. It has been endorsed by The High Bailiff, Roger Sutton, The Chairman of the Town Improvement Committee, Peter Crathorne, Former High Bailiff & Administrator of the Heritage Centre, Ray Holding, District Councillor Laurence Marshall and John Johnson of Johnsons Coaches. In addition we have received testimonials from some of our overseas readers in Canada, USA, Australia and Germany. The results will be be announced on 14th July at the Shire Hall in Warwick. 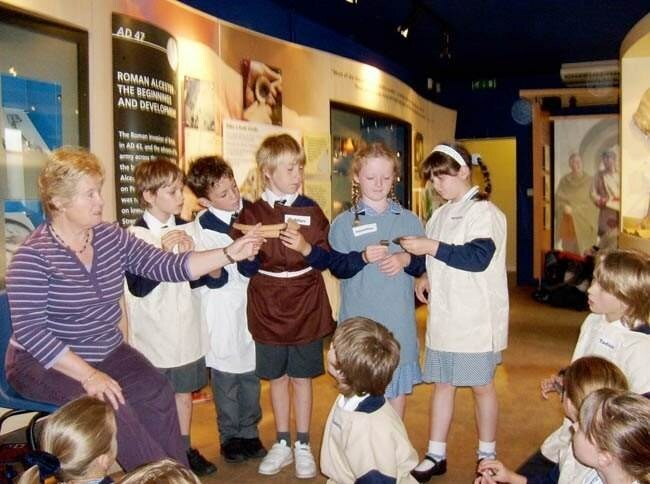 On Monday 18th May, my class and I went to the Roman Alcester museum. We went on the coach. When we got there, we were split into groups. When we were all sorted, my group went upstairs and dressed in tunics (They are special tops that were worn by many Romans). After that we were given a Roman activity book and had to fill out a page called ‘Pot or not’. We had to draw Roman objects and decide if they were pots or not! When we had finished, we went to the gift shop and I bought a Roman bracelet and a dolphin necklace. Then we went downstairs and had a look at lots of old Roman coins and jewellery. We also ground some spices and learned the name of the spices. After that we had lunch where we were entertained by a Roman soldier! We had a very exciting week back in school following our visit as we learned even more about the Roman way of life. 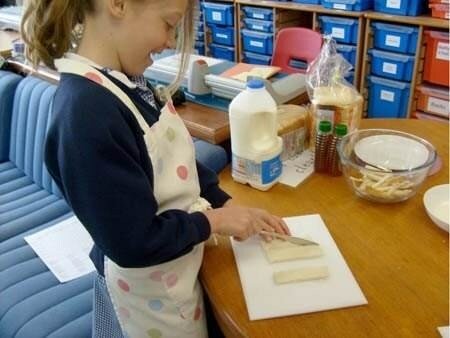 We dressed as Romans, took part in an archaeological dig for Roman treasure and made honey bread (see below). 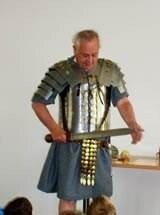 I have really enjoyed learning about Romans so far and am looking forward to learning more after the half-term holiday. 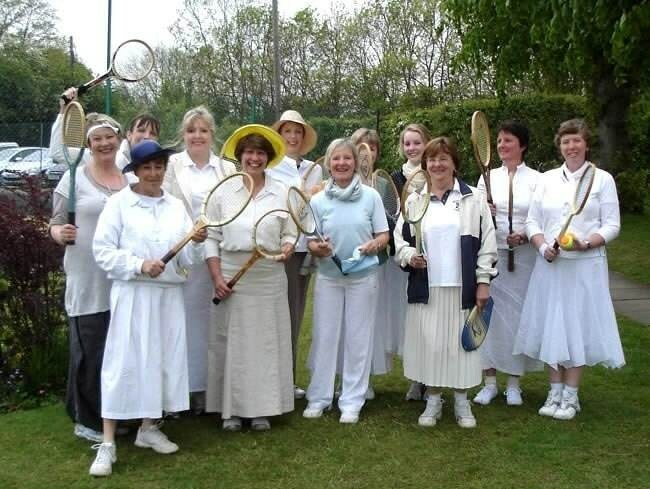 Henley in Arden Tennis Club ladies turned back the clock on Wednesday night with a wooden rackets tournament. Skirts were to be worn below the knee, and orange balls to slow play were introduced, but those who thought this would bring out the genteel side of our competitive ladies were wrong!! 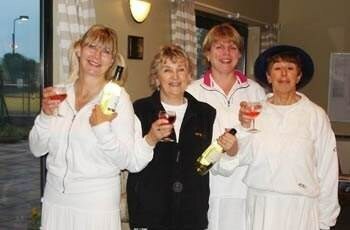 The match was eventually won by Linda Lardner and Annette Walker beating Sarah Rowan, Ladies Captain and Judith Mathias Club Secretary, in a thrilling 11-9 tie break, watched by the other ladies sipping their pink champagne! After the prize giving everyone enjoyed a feast of cucumber sandwiches, smoked salmon and Eton Mess, agreeing that the evening would be repeated next year. Henley are holding a second Open Day on 28 June at 12 noon when they will be playing the finals of their Club Championships. 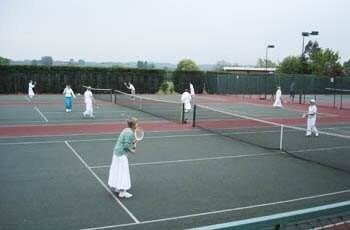 Potential members are welcome to try the courts and join in the fun. For more details please contact club secretary Judith Mathias 01564 792378. John Earle & Son’s May Land and Property Auction was held on Tuesday 19th May 2009 at the regular venue of Henley Golf & Country Club. 5 Lots in total were on offer. Castle View Farm near Kenilworth was put up in 3 Lots and the 140 acres with the steel portal frame building, after very strong spirited bidding coming from all parts of the room, was knocked down at £830,000 just under £6,000 per acre. Richard then offered 18.19 acres and all new grassland and this sold for a very good price to the same buyer for £134,000 (£7,086 per acre). The 3rd Lot on the farm, 101.02 acres, started slowly but eventually realised £440,000 (£4,355) per acre. The whole farm made £1.41m with the average rate per acre being £5,417. Richard then offered for sale 4 Squires Court, Bretforton and after a slow start strong competitive bidding resulted in sale of £193,000. 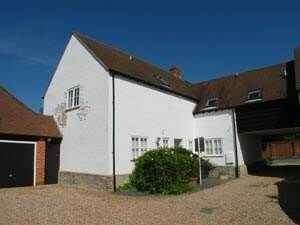 The last Lot offered was the Cottage at Lower Binton, near Welford on Avon and although it was withdrawn, a contract was signed in the auction room after the sale for a figure just slightly under the guide price. Peter Cornford, Senior Partner of the firm, said after the sale he was well pleased with the excellent results and it shows there is a very strong market for large parcels of agricultural land in the County as well as confirming there are many buyers in the market place for a cross section of property who are well funded and seem to be increasing in confidence that the property market is not likely to fall any further after nearly two years of steady decline. The firm’s property auction for June will include Court Farm, Offenham near Evesham -142.35 acres, a substantial Georgian Farmhouse, a bungalow and a range of traditional and modern farm buildings, 34.62 acres of pasture land and newly planted woodland at Walcote near Great Alne with a long frontage to the River Alne and 45 Selly Park Road, near Edgbaston. For details of all these properties please access the Auction page on this website where they can be downloaded as colour pdfs. It was a perfect day on Sunday for Henley Rotary Club's charity walk. The sun shone, the Warwickshire countryside looked superb and, at the mid-way point at Lowsonford Village Hall, the jazz band played and the pig roast did a roaring trade. The many walkers appreciated the new 10-mile route and, through contributions and sponsorship, made a great contribution to Cure Leukaemia the main beneficiary. It's too early to quantify the total amount raised but it will be well up to expectations. As one walker put it, "It's difficult to imagine a more enjoyable way to spend a Sunday morning." In recent months the news has been full of the expenses scandal at Westminster; there has been a frenzy, stirred up by the media, which has left us reeling. No doubt quite a few MPs are bewildered as well; they will have been taken aback by the accusations of greed and moral depravity. Maybe they are wondering why we are picking on them when ‘expenses accounts’ always lead to vague claims and grey areas. Think of the management of a public company travelling first class across the world to wine and dine potential clients when economy class would do; they are spending shareholders’ money. On a smaller scale, think of an employee nipping into the shops to buy something personal during office hours. Or think of the last time you paid cash for a job in order to get a discount. It is no wonder that Jesus said ‘He who is without sin, let him cast the first stone’. Part of the problem is that these revelations of ‘greed’ come at a time of financial hardship and we are all stressed about money. Also, the deviousness and the scale of some of the claims have surprised us. I guess the argument has been that the maximum allowance has been there for the taking – all that was required was ways and means of claiming it. And this is where moral judgment becomes the issue. At a time when other people’s moral judgment has been brought into question we have to be careful about how we exercise our moral judgement. Here are some Christian virtues to consider: slowness to anger, even greater slowness to judge, patience, allowing scope for repentance and forgiveness, keeping no record of wrongs, being masters of the ‘second chance’. We have every right to want to confront greed and to stamp out the abuse of privileges and to clean up government, but the way we restore morality has to be moral as well. 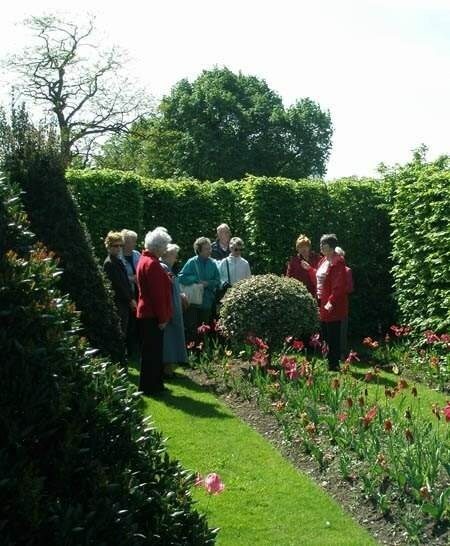 This visit to Castle Bromwich Hall Gardens and Sarehole Mill on May 7th was inspired by the talk given to the Society by Jean Draycott on the restoration of these unique historical gardens. In her inimitable fashion Lesley Eastward had organised everything meticulously, taking the trouble to visit beforehand and liaise with the staff. Our two guides were enthusiastic, well informed volunteers whose obvious wish was that our visit should be enjoyable as well as informative. In 1982 the site was acquired by Bovis Homes to develop yet another housing estate near to the Kingshurst and Chelmsley Wood estates. Fortunately for us their surveyor happened to be an authority on historic gardens who soon discovered the remains of some historic gardens started between 1600 and 1650 by Sir Edward Devereux. Garden style fashions change but, because the Bridgeman family inherited another estate, Weston Park, Castle Bromwich Hall became their second home: thus, fortunately for us, the original parterre garden was not demolished at the hands of Capability Brown. Original plants remained although replacements have been acquired from Kew; I saw one labeled as being from 1629. Estate workers were required to fight in various wars throughout history but at least one gardener was dispatched to bring back foreign plants for the garden during that particular campaign. The visit to Sarehole Mill was equally fascinating but at the other end of the social spectrum in general content. It was a water powered corn mill in 1542, the water being taken from a mill pond which was fed by the River Cole in Hall Green Birmingham. Our guide opened the sluice, which allowed the water to turn the mill wheel by dropping into its rectangular buckets. The wheel in turn powered the grind stones. Health and safety was not a consideration in the past centuries; highly inflammable flour dust would invade lungs and eyes, causing injuries to the miller, his son and any apprentices working with him. They could easily fall into unguarded gear wheels and machinery, especially if their vision was impaired by dust. 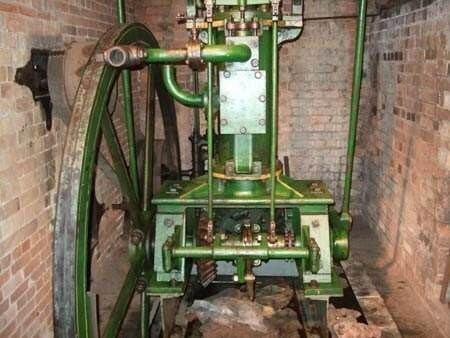 The mill’s claim to fame was its association with Matthew Boulton who used it to power his machines in the 18th Century for a short while but found the lack of transport links made it unprofitable. He subsequently sold it and it reverted to being used as a flour mill with the addition of a steam engine for times of drought. Its second claim to fame was its association with JRR Tolkien who lived nearby and was inspired by the surrounding area to write The Hobbit and The Lord of the Rings. He was a middle class child whose father died and whose mother fell on hard times but tried to keep up appearances. The local ruffian lads teased him so he and his brother would play around the mill where the Miller (the White Ogre in his books) would chase them away. Nearby are Moseley Bog and Joys Wood both inspirations for JRR’s fertile imagination. In the 1960s JRR, who was now a lecturer at Leeds University and had already published his books, contributed to the public appeal to restore the mill as a museum. He died in 1973, having become Merton Professor of English Language and Literature at Oxford. Such was his fame that local residents sought and achieved a moratorium on the building of a housing estate on Moseley Bog. The day was a great success, made even more enjoyable by the happy relaxed atmosphere and the pleasant, friendly participants who could leave all the worries to our good humoured organiser and driver. Would the last High Street Shop please shut its doors? Yes, if you believe the propaganda. NO if actual trends, cycles and all present and past evidence are to be believed. Let’s start with travel and homogeny (everything becoming the same). Yes, you don’t pay to park (at present) in out of town centres – and yes, what started at Puerto Banus and continues in Dubai, the icons for Merryhill and what’s in Stratford, they are very successful at present. However, we’ve all been through a decade (and more) of the small being swallowed up by the big and the biggest. We are herded round more than any family of cattle, fed a very specific diet of marketing and PR, all for the sake of profitability. History says we will react against this and want more choice plus some real customer service. We are going to get better value (led by the internet) wherever we shop BUT successful retailing is profitable, and comes in many many forms. ‘Come on holiday to beautiful Spain or to our city in the desert, and spend your time shopping’ mirrors ‘Every weekend our wonderful shopping centre can be your home for a day’; two statements of intent by the big boys (sorry persons – got to work with the homogeny). Can you really tell the difference between any of the Midland’s major shopping centres, notably their interiors? Can you find a shopping centre here or abroad where you can get something that isn’t available everywhere else (which was the case when Marbella’s monstrosity opened)? Given sensible, common sense ‘green’ strategies, ones which don’t just make money for governments and multi-nationals and aren’t peddled by people who need a better IQ, then in 10 years, maybe even five, our lives will be different. If we are all to rationalise our travel we will expect more when we arrive, much more. Each journey will be valuable and service, knowledge and real friendliness will be key – think loyalty cards turned into something a computer can’t rationalise. 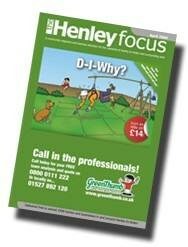 People in and around Henley will find (with a bit of help) what they need, want and their luxuries. With the right retail mix they will spend perhaps even a day in your town enjoying the experience, coming back or keeping in contact via the internet. The successful shops of the future, of any size, will have frontage AND a great web site (which doesn’t need to cost a fortune) a web site which is ever changing, fully flexible and not run by web process theory. It's perfectly possible for the internet to be much more personal so that you can order that Birthday cake, replace those favourite trousers, change the colour of your best shoes, buy a bargain of a steak, find that holiday book, ... the list is significant of where customers will use technology to be treated as a human being, not a tiny cog in a huge machine. John Garner, our business correspondent, has been away on holiday so we are including a letter to the Chancellor at the suggestion of one of our regular readers, Lesley Eastwood. Please find below my suggestion for fixing Britain's economy. What’s the most economic cruising speed for your car? A poll last year by Whatcar.com showed that 62% of drivers believe there is a magic speed between 50 and 60 miles per hour where cars give their highest miles per gallon (mpg). To check this out, special tests were commissioned on 5 cars ranging from a Toyota Aygo 1.0 petrol to a Land Rover Freelander 2.2 TD4 Automatic. The test results showed that from 30 mph upwards, three of the cars returned lower mpg as speed increased. 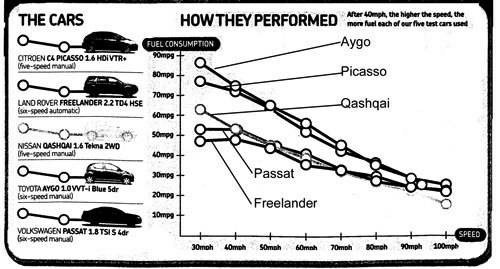 For the Freelander and Passat, the mpg was about the same at 30 and 40 mph and then decreased in a similar way. So there isn’t a magic speed for best economy. In general, the faster you go the more it costs in fuel; roughly twice as much at 80 mph as it does at 40. As an example, the Nissan Qashqai does 52 mpg at 40 mph and about 25 mpg at 80 mph. This means that at 80 mph it’s costing an extra 15p per mile compared to what it costs at 40 mph. Whatcar says that many motorists will scout around for the cheapest fuel (haven’t we all). Paying 2p less per litre saves £1.00 to £1.20 on a typical car’s tankful. Not bad, but dropping speed from 90mph to 70mph on the motorway saves this amount of money every eight minutes. Not only is your pocket better off, your car’s CO2 emissions are reduced. The UK energy research centre estimates that if the 70mph speed limit were adhered to, CO2 emissions would be reduced by 3,700,000 tons pa. Lowering the limit to 60mph would save a further 3,500,000 tons. So, are you really in so much of a hurry that you don’t want to save £1.00 every eight minutes? That’s more than the minimum wage! On Tuesday 2nd June, Mrs. Sheila Swan will be giving a talk about Recipes for Success. Visitors will be very welcome to join us from 7.30 pm in the Memorial Hall. Coffee morning at the home of Barbara Warmington Saturday 13th July 10.30 am. 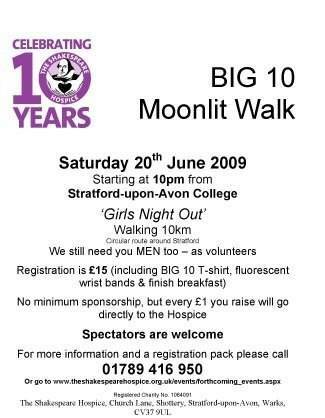 Saturday 6th June starting at 10.00 am in the Guild Hall Garden. 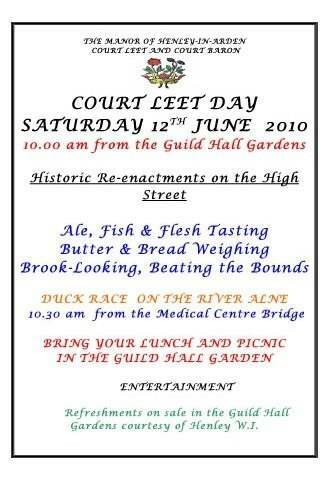 This is the day when the Court carries out its traditional enactments of Ale Tasting, Butter and Bread Weighing, Fish and Flesh Tasting, Brook Looking and Beating of the Manorial Bounds. All welcome. 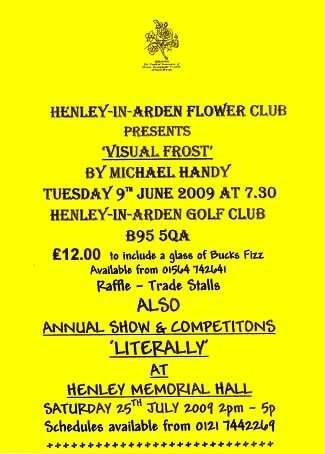 The Coral Anniversary demonstration on 9th June is at Henley Golf and Country Club, NOT the Memorial Hall, and tickets cost £12.00 available from 01564 742641 to include a glass of Bucks Fizz. 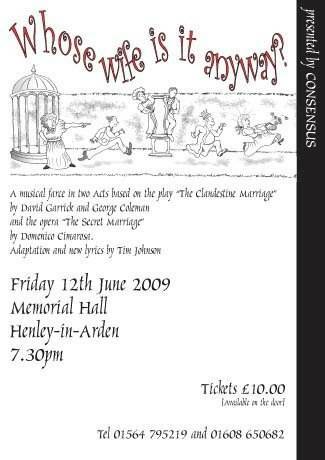 “WHOSE WIFE IS IT ANYWAY” – a musical farce by Concensus, a group of local actors. Friday 12th June 7.30 pm at the Memorial Hall. Tickets £10 at the door. Tel.795219. 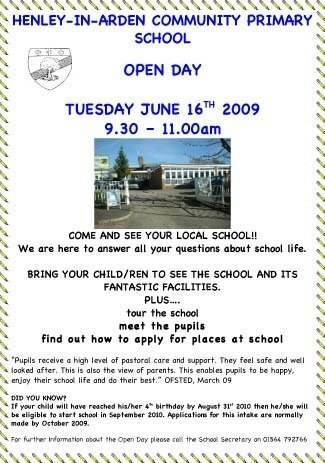 On Tuesday 16th June we have our first outdoor meeting. Please come to the Market Cross at 6.30 pm and telephone David Evason or Bob Riley if you need transport. 15th – 21st June. Please be extra aware. 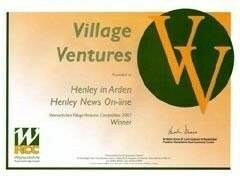 Anyone interested in becoming a coordinator for Henley contact Annette Walker on 792837. 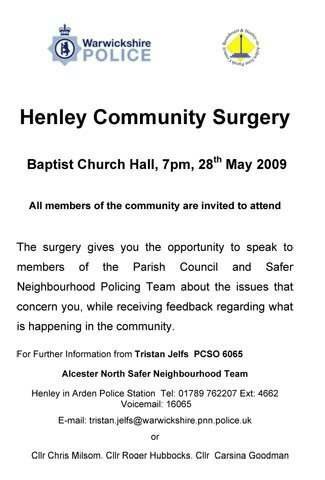 Next meeting 21st May, Henley Police Station. 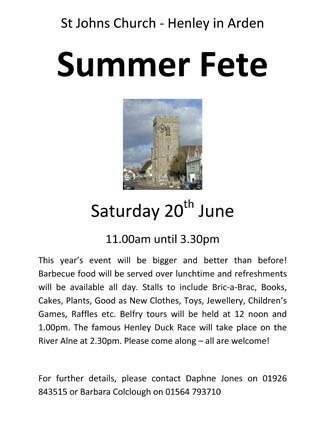 CHURCH FETE Saturday 20th June. This year it’s bigger, better and much more fun for all the family, starting at 11.00 am – 3.30 pm. 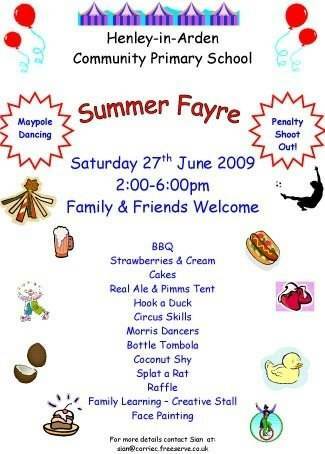 All the usual favourites such as toys and games, tombola, cakes, plants, produce plus even more including BBQ, good as new clothes, glass and china, bottle stall, etc. Admission by lucky programme. HENLEY & DISTRICT ROYAL BRITISH LEGION & HENLEY EX SERVICES SOCIAL FUND are holding a coffee morning and cake stall in the Guild Hall on Saturday 27th June to celebrate Armed Forces Day. All proceeds will go towards the new Memorial to be erected in St. John’s Church. CANOLDIR MALE VOICE CHOIR On Saturday 27th June at 7.30 pm. 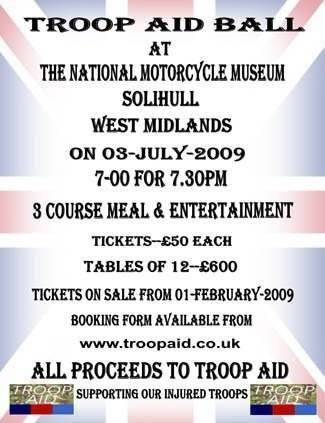 Tickets £10 (£3 under 16) available as above. Proceeds aid of Church Charities and St. Nicholas Organ Fund – a church with many associations by people of Henley and beyond. Saturday 18th July in the Guild Hall Garden. The Ad Hoc Jazz Band, dancing, picnics, strawberries and fizz. Details from either Duncan or Marijana Bainbridge on 793539 day or 794987 evening. In aid of Memorial Hall Funds. STRAWBERRY TEA on Thursday 23rd July at Alne House, Beaudesert Lane from 2.00 to 4.30 pm. 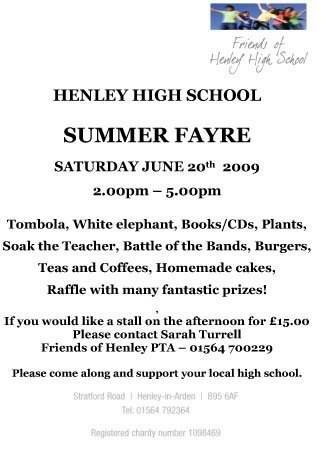 Tickets £5 to include strawberries and cream, homemade cake and tea or coffee. Tickets from the members of the Church Fellowship Group. The Warwickshire Rural Community Council(WRCC) helps and encourages people living in rural areas to develop their communities. By aiding locally led and run projects they also hope to strengthen social ties within Warwickshire's villages and small towns.